Over the next seven years (before he went off to serve and return from the Great War), Johnson and a small team of staff created something new at Hidcote Manor: a master outline for a garden containing a variety of rooms and vistas that would showcase the flowers, bushes, trees, and shrubs there, as well as the topography of the land. He began planting right away, but it wasn’t until the early 1920s that the garden started to, well, bloom. Johnston began a series of plant hunting-and-gathering trips abroad to the Swiss Alps (1922); South Africa and Rhodesia (now Zimbabwe) (1927-1928); Kenya (1929) and China (1930) and brought back many of the seeds and plants that would eventually fill in all of the designed spaces. Creating rooms in a garden was a bold new idea, and many of his fellow members of the Royal Horticultural Society came to Hidcote in its heyday of the ‘20s and ‘30s to check out – and borrow – his ideas. (The famous Sissinghurst garden in Kent, for example, curated by author and gardening diva Vita Sackville-West, was deeply inspired by Hidcote). Johnston’s creative vision and willingness to try something new and bold became one of the most influential ideas in landscape gardening of the past 100 years. 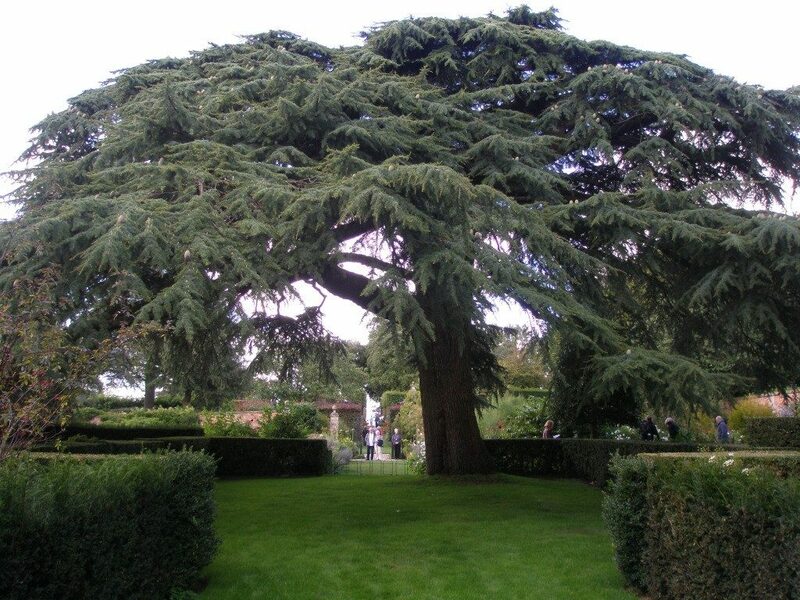 Well, on a recent visit to Hidcote (now owned and managed beautifully by The National Trust), the guide pointed out a tree called a Cedar of Lebanon stately standing within a very wide ring of very old hedge. The guide said that Johnston had planted the cedar tree in 1910 according to the garden plan, and he remarked at the vision of someone planting such a very small rooted stick in such a very large area, knowing that it would eventually fill the space, but aware that he, Johnston, wouldn’t live to see it in its full-grown glory, as it stands today. It made me think about the legacy we all leave in the work we do. How would I act differently with my company if I knew it were still going to be around in 100 years? It hadn’t occurred to me (before then) to think that there was a possibility that my company might outlive me. And my very next thought was that I was pretty sure that it never occurred to the men who founded Harvard, and St. Andrews, and Bellevue Hospital that those organizations wouldn’t be around 100 years later, long after they were gone. Storms blow down trees, and you plant new ones, maybe in a slightly different spot. New species are discovered or bred that you want to highlight, and so you pull out old beds and plant something new and different in them. You might even move a wall or change a pool into a fountain, but change is a part of the life of the garden. It’s impossible, of course, to work in the same job for 100 years, but let’s say for the sake of argument that you’re currently working in your dream job at your dream organization. If you knew you were going to still be in the same job at the same organization 100 years from now, what would you do differently? Of course, new databases need conversions, and new technologies require adapting-to. Leadership changes are inevitable and organizational priorities evolve, but change is also part of the life of any organization. But if you had to create and fill in a master plan to support someone just like you at your organization, would you do anything differently than you’re doing right now? The photo I have of Johnston’s Cedar of Lebanon always inspires me to think about it.